It’s time to look at one of those films that tries to do a lot of things and ends up not doing any of them well. The humor’s all a miss, the characters are weak, and the plot isn’t particularly interesting. That’s not a mix of elements that you want to have in your film and yet here we are. I’m afraid that this is a film that you will want to avoid, but it does remind you how rowdy school can get. The film starts off by introducing us to Sam. She is ready to celebrate her 16th birthday, but unfortunate it has been completely overshadowed by the family wedding happening the next day. As a result nobody even remembered that it was such a big day for her. No worries though, the audience won’t forget because she whines about it for the duration of the movie. Sam runs off to school where she embarrasses herself by filling out a risky note and by mistake giving it to Jake. Sam then decides to at least go to the school dance, but this may not actually work out in her favor. There’s not really anything good about this film and that’s always pretty unfortunate. Right from the start there’s quite a bit of language and so you can tell that the writing was not particularly good. It’s used as a crutch for the humor and the humor isn’t any good either. That’s already a pretty big strike against the film. Slice of life comedies/drama titles really depend on the writing to be good since otherwise there isn’t any other hook that the film brings to the table. Then you’ve also got the annoying characters which doesn’t help matters. Samantha spends most of the film complaining and digging herself into bigger and bigger trouble as the film goes on. She seems a bit shallow as she only likes Jake for his looks. She literally knows nothing else about him. Then while she does fend off the advances of Ted for the most part, she doesn’t escape the interaction with her dignity intact. The rest of the side characters are no better. Ted is definitely an awful character. He’s overly pushy and also isn’t afraid to take advantage of someone who isn’t in their right frame of mind. Any scene with him just drags on and on with no end in sight. Then you’ve got Jake who is the main guy. He’s not much better than the others as he basically gets ready to cheat on his current girlfriend. He is ready to move on from her as soon as the next person is available so he is hardly a very sincere guy. Hopefully Sam is ready for when things don’t go well. There’s also a comedic subplot about the wedding going on, but there’s nothing funny about it. It’s all super exaggerated and a little on the gross side as well. The film tries to make both families look pretty bad throughout the exchange to the point where you are no longer sure if there is anyone to root for. It’s also definitely a little odd that the families didn’t meet until the day before the wedding or how the groom and bride didn’t know much about each other. I guess it’s convenient this way though. Naturally there is a ton of romance here even if almost none of it appears to be genuine between the characters. It’s just everyone trying to increase their social standing by getting together with someone. It’s seen as a badge of honor in this film’s community and naturally that raises even more questions. Or it would if you actually cared about the film by that point. Most likely you will already have checked out by now. There isn’t anything to hold your interest here. You’ll just be waiting for the film to wrap its run time up so the disaster will have ended. I forgot what score I gave the breakfast club, but this one is definitely around that film’s level. In a lot of ways both films are pretty similar. I suppose the only thing that works for the film is the crazy array of sound effects and strings of music. I figured it was just the channel trolling, but the movie decides to be bold with a lot of sudden sound effects everywhere. Characters constantly react literally (Like when a light bulb effect plays after a thought) and we even get some horror music. This part actually works a bit at least. If anything it’s a shame that the sound guy probably worked harder on the film than the rest of the staff. Overall, I’d recommend staying away from Sixteen Candles. You’ll be cringing hard almost from the start of the film. I’d say that the premise was good, but it really wasn’t and the execution definitely didn’t do anything to help improve that film. Just stay far away from this film and you should be fine. If you want to watch a funnier film that still has some drama involved, I’d recommend checking out Groundhog Day. At least that one has a bunch of jokes that land and a time travel plot that holds up today. It’s time to look at the next big Equestria Girls special. One of the big things here was that the gang was finally going to head to Ponyville. Unfortunately this only happens for a few minutes so if you’re here for the crossover aspect then you probably won’t be too satisfied. It’s a solid adventure overall though and continues to show why Equestria Girls has been a solid spinoff. We don’t get any real fights here unfortunately but maybe next time. The special starts with the gang going on a cruise to celebrate Spring Break. Twilight Sparkle is determined to make it a success, but unfortunately Rainbow Dash is making this difficult as she keeps looking for magical threats to stop. She believes that the main characters are destined to be fighting enemies forever, but the others don’t share this sentiment. Their patience grows thin as Rainbow keeps getting everyone in trouble and their vacation may be ruined at this rate. Still, what if Rainbow Dash is right and there is a threat over the horizon? That’s the basic synopsis and as the special isn’t all that long you can pretty much glean all of the plot from this. Rainbow Dash’s antics are exaggerated a bit in order to move the plot. Still, I would say that she is the best character here aside from Sunset Shimmer. (Who is always the best anyway) Rainbow at least tries to prove that she is right and heads off for danger by her lonesome. She didn’t need to be so pushy, but at the end of the day that’s just her nature. You’ll feel bad for Twilight Sparkle here though since she’s trying her best to make this a success and it just isn’t working. She’s fairly low on confidence as it is so these events didn’t help. Fortunately for everyone on board, Sunset Shimmer is on the case. She still isn’t afraid to tell it like it is and even Rainbow Dash gets her feelings hurt by Sunset’s direct nature. Sunset does take Twilight’s side initially but once the tables turn she is quick to help Rainbow out as well. She’s really the team leader here and I don’t see that changing anytime soon. Her only dicey leadership move is when the gang heads to Ponyville and they chat with Princess Sparkle. Surely she would have remembered that the rest of the crew were still in danger right? This part is used for humor as the Mane 6 are panicking without their leader and the ship is sinking. It does further reinforce the point of how they’ve become so relient on Sunset to solve all of their problems. I could definitely see that being a plot for a special at some point down the line. I will admit that Princess Sparkle doesn’t look so good here. As per usual she panics quite a bit even if it isn’t very warranted. Sure, the Storm King was kind of impressive for 5 minutes when he first appeared, but it’s just his leftover magic striking the ship. Since he isn’t there in person it’s hard to say that the gang was in serious trouble. If worst came to worst they could use their powers to do something. At least Rarity’s abilities would come in handy here since she can reflect things. Once they got to the island then they would have a bunch of other options. For the other subplots, Rarity’s romance one is basically played for laughs so it wasn’t all that bad. Pinkie Pie trying to get her cake doesn’t work so well because she should have been able to snag it. I could do without Applejack getting sick since that tends to get old pretty quick. Fluttershy definitely has a rough time of it since the animals get scared off by Rainbow. It’s easy to see why they all got upset at Dash by the end. The only person Rainbow didn’t mess with was Sunset and you can probably guess why. Nobody messes with SS unless they want to get hurt. All of the plots were pretty entertaining. I could have used a bit more action, but no parts dragged on or anything so I’ll give the special some kudos there. I think what would have taken this special to the next level would have been to have had Ponyville get more of a role. I’m still waiting for the big crossover battle where the Mane 6 take on the Mane 6 + Sunset. That would make for a fun special. Alas, with this generation coming to a close it is looking less and less likely. I suppose by having Rainbow Dash be obsessed with combat here it was the writers’ way of reminding us that we shouldn’t always go in expecting fights and such. We can dream though. As always the animation is pretty solid. I can’t say that flash is the best style out there, but if you gotta go with flash then it’s not all that bad. At the very least the animations are always pretty smooth and easy to follow. It doesn’t really lend itself for fight scenes quite as well, but with none in sight here that isn’t exactly an issue. We only really get one song here, but it’s definitely a pretty solid one. It was nostalgic to see the group get back together as a band here. 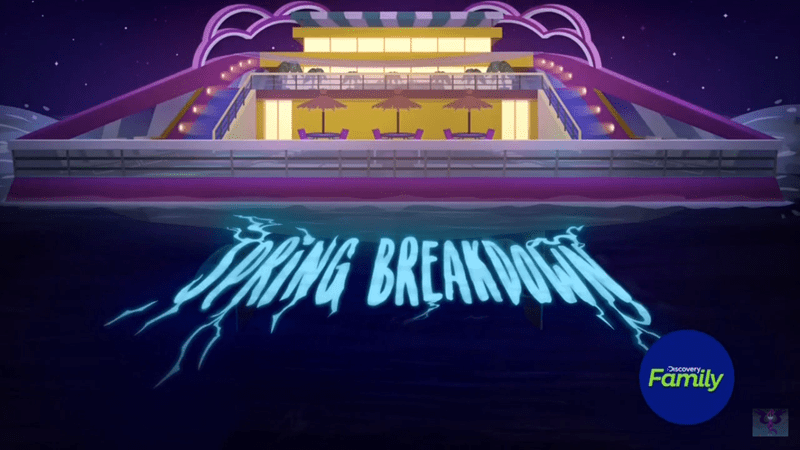 Overall, Spring Breakdown is a solid special. It’s not nearly as ambitious as the movies, but does achieve what it set out to do with this special. It’s just a good excuse to see the gang again and watch them go on a trip. There may not be a whole lot of danger for the team to overcome, but the writing is on point and the special doesn’t really do anything wrong. I have no complaints so the special definitely ends up being pretty solid. 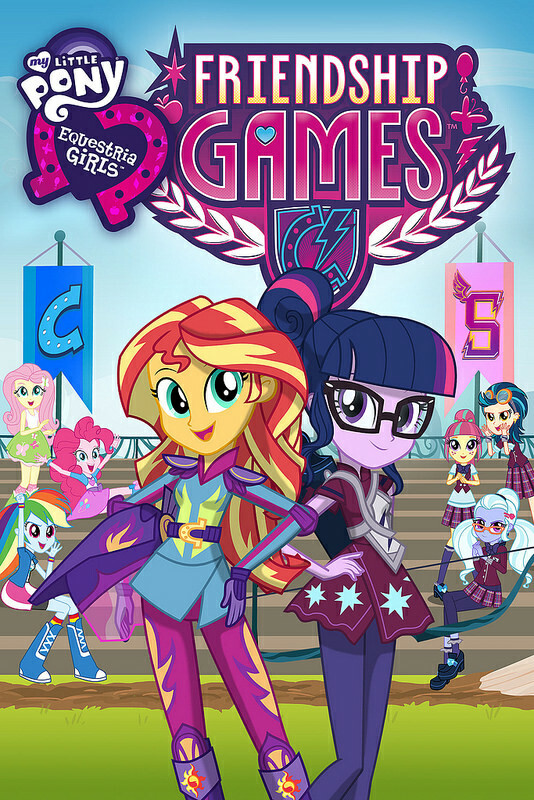 I’d recommend it to all MLP fans as this could be one of the last times they ever get to see the Equestria Girls star in a special. 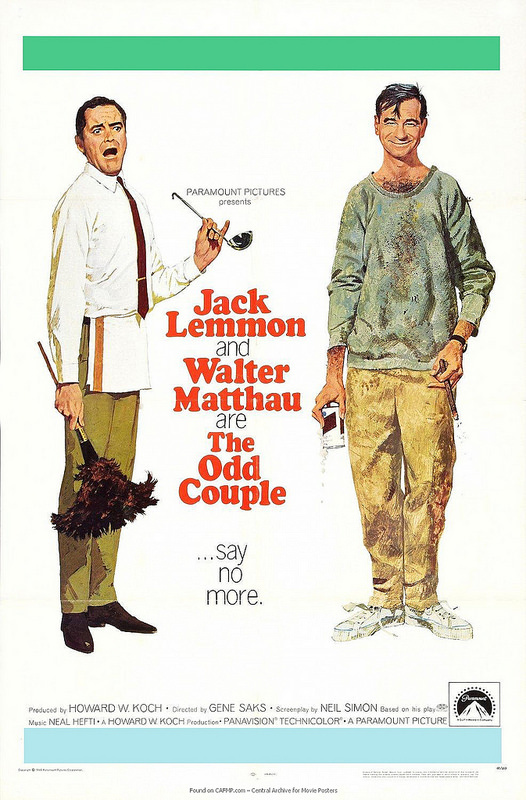 It’s time to look at the original Odd Couple film. The TV show was always pretty fun but how would the movie fare in comparison? Naturally you aren’t going to go in expecting it to beat the actual show but if it could still be a fun adventure and work as an episode then that would be a success. I can safely say that this was a pretty fun movie. It’s definitely aged well and the concept is timeless. The film starts off with Oscar having a card game with his buddies as per their weekly routine. Initially I actually thought that one of the friends was actually Oscar since he was certainly pretty confident in his chair and smoking to boot. They’re all having a good time until they realize that Felix has been out a while and may be trying to destroy himself. Fortunately that guy managed to pull his back so now he was unable to do it and makes it back home. Oscar realizes that Felix can’t be by himself for a while so he suggests that Felix moves in and then they will be roommates. Felix agrees and so their story begins. However, Felix may prove to be a bit more of a handful than Oscar ever could have imagined. Right away you may be on team Oscar here as he was willing to make a pretty big change in his life just to help Felix. He was perfectly content living by himself and only did this because Felix still seemed to be a bit crazy. He’s also quite patient with Felix’s antics. Felix chases off all of Oscar’s friends, makes him miss the big moment in a Baseball game, is embarrassingly loud at restaurants, cries a lot, etc. Oscar is able to look past this since he does want to be a good friend. Oscar’s not perfect and he’s certainly not the cleanest guy around, but he always seems pretty reasonable. Then we’ve got Felix. He’s a lot harder to sympathize with since Felix ends up taking everything too seriously and just makes things way too difficult for Oscar. Some things just feel deliberate like his allergies. Even if his method is effective, he just comes across as too socially insensitive. Felix either doesn’t realize that half of the things he does are so extreme or he doesn’t care. Both options don’t really help his case all that much. So when the two characters inevitably fight and Felix thinks about moving out you have to admit that it’s the right call. If the bridge can’t be mended then at the end of the day it is still Oscar’s place and he can make living there pretty uncomfortable for Felix. The film goes at a pretty good pace. Some scenes may be a little long like the opening where the main characters think that Felix might die though. It went on for such a large chunk that I was wondering if the film’s main story was going to include those friends the whole time. It’s a fun scene all around though so maybe the length was necessary to ensure the writers could throw all of the jokes in there. I wouldn’t have minded seeing more of the friends really. They seemed decently nice even if they were on the completely opposite side of Oscar in how tolerant they were of Felix. They didn’t even give him a chance. I’d say that the writing is pretty solid as well. The characters are mostly reasonable and the contrast between Oscar and Felix is depicted well. You can almost instantly see how the dynamic will play out because the two characters’ traits can be guessed as soon as they appear. If there is a weak point in the movie it would have to be the part with the Pigeon sisters. They aren’t all that entertaining and are probably the most exaggerated characters. They laugh at everything and seem like rather odd neighbors for sure. the “romance” angle here is mostly just used for comedy as you know Oscar has no shot as long as Felix is around. While the scene does give Oscar a big reason to finally leave Felix for good it could have been done another way. The climax is also why Felix certainly couldn’t end up being a good character for me. Timid or not, he totally deserted Oscar there when the main character needed him the most. When you start something you gotta see it through and Felix did not. As a result he basically betrayed Oscar. This gets even worse in the ending where we find out who he ran to while making everyone else worry. Felix is a humorous character so I’ll give him that. The guy has his moments, but when the chips are down he is someone that you absolutely cannot count on. He will let you down every time. As far as the soundtrack goes there is really one big theme, but it has certainly gotten iconic over the years. The TV show remixed it a bit, but if you’ve seen the show you will still recognize the theme as soon as it shows up. It’s a pretty good slice of life theme and adds some atmosphere to the first scene of the movie. Based on the beginning you actually may get the wrong idea about the genre for a little while which is nice. The film did a good job with the misdirect there which really started the film off on a good note. Overall, The Odd Couple is a pretty fun film. The jokes are well delivered and the dynamic between the main characters works well for this kind of plot. Oscar is definitely the guy I was rooting for as his more laid back approach just makes him a lot easier to get along with. Still, Felix isn’t as bad as he could have been as with these kinds of films one character usually ends up being super unreasonable. Felix doesn’t falter much until the end of the film. If you haven’t seen this film yet then I’d recommend checking it out. It’s just a pretty balanced movie that makes for a good watch. It’s time to look at another Peanuts special. It’s been quite a while since I saw the last one but as Election Day just passed it’s the perfect time for it to air. These specials are always quite short, but make for fun adventures with the cast. Charlie himself gets a really small role this time around so Linus is the one who has to take the center stage this time around. Does he have what it takes to hold the special? The class is getting ready to pick their Student President which is naturally how it ties into Election Day. 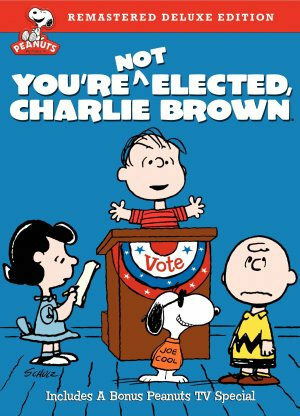 Charlie Brown and the others figure that Linus would make a good candidate and he agrees. However, there is one student who is running against him. The guy doesn’t seem to be much of a threat as so far everyone is voting for Linus, but Lucy still keeps on running surveys. She decides that they can’t get complacent and is proven correct when Linus goes on a rant about how the Great Pumpkin is real. Kids start to doubt in his abilities. What should have been a clear win is now turning into a very close battle. That’s the main plot and there isn’t really room for a subplot this time. We still do have some nice Snoopy scenes where he builds himself a big breakfast though. It’s like I always say, when in doubt make yourself a sandwich. Snoopy’s also nice enough to make sandwiches for Charlie and Sally as well though which was nice. Snoopy does have a hard time of it in the actual school though as his Joe Cool disguise doesn’t work too well and then he is kicked out of the school. You’d think that the school would show him a little more respect considering that Snoopy is always the one helping them out of a pinch. Without Snoopy the school wouldn’t be doing too well. Linus is a good lead and he’s always been one of the better Charlie Brown characters. He does seem to lose some common sense in this special though like when he brought up the Great Pumpkin. Not only was it basically off topic so her had no reason to bring it up, but he should have known that this wasn’t the right time. I can see him going on a long speech about why he would make for a great president though so that makes sense. I was also glad that the real principal got a lot of props here. The kids think they have the advantage at first when they see him sweating, but it turns out that the guy was probably just laughing. He set the record straight very quickly. As always the animation is pretty consistent with the rest of the Peanut specials. They all look the same so the animators are definitely pretty experienced. The characters are never off model so it helps you get into the adventure right away as if it’s just another episode. There isn’t too much music in this special though. The Joe Cool song that we did get wasn’t all that good so the soundtrack is a little weaker than the average special. No matter, it’s still not a bad soundtrack I suppose. Overall, This is a pretty fun special. It’s also very short so it’s not like it would take a long time to watch. At most you may just wish Charlie Brown had run for President since I think that probably would have been a little more entertaining. Of course, he would have been doomed from the start though so this way at least you can believe that Linus not only has a chance, but a pretty good chance at winning this. What could have worked would have been to have Charlie run against Linus instead of Russell, but that could have also ended up being super emotional or tragic so as always it would be a tough balance to keep in mind. I’m now one step closer to finishing all of the specials. It’s definitely a franchise that has had a lot of entries over the years. If you haven’t seen this one yet then I would recommend checking it out. 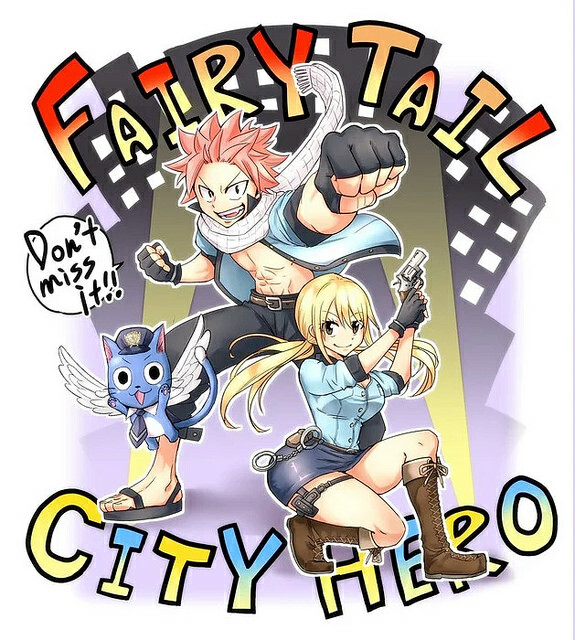 Looks like Fairy Tail’s got another spinoff going! This one is pretty early on, but it already has some warning bells. The series seems like it’s going to try and add in the typical Fairy Tail elements, but hopefully it can end up being a good series. It’s got potential, it’s just got to live up to it. Let me preface this review by putting on the record that I’ve always been a fan of having characters turn humanoid. It makes for a great super form since humanoid creatures are better able to fight on a high level because of how maneuverable they are. So, when the Pony franchise decided to have the main characters become humans I was excited. Finally, the Mane 6 could fight even more powerful threats. Unfortunately, I have to say that ultimately that hasn’t seemed to be the case as of yet so I’m thinking that their pony forms are the definitive versions. Still, this was a pretty fun film and definitely one that I could recommend. The film starts with Twilight Sparkle trying to confront her insecurities about being the new princess of Equestria. She hasn’t been having an easy time of it lately because there is just too much pressure for her. This doesn’t get any easier when Celestia’s original pupil Sunset Shimmer shows up and one shots Twilight. She steals the crown and escapes into the human world. Dazed and confused, Twilight heads into the portal, but she still isn’t ready for a confrontation. Turning into a human seems to have regressed her confidence even further so now she panics and yells constantly while needing more support from her friends. Fortunately the rest of the Mane 6 have alternate versions in this world so she has to find them all and then unite to stop the powerful Sunset Shimmer. Can they really defeat this demonic pony who is bent on destroying all of reality? It’s a pretty epic plot. Still, I do feel compelled to let you know that this film isn’t all about the action scenes. The final fight is over in around a minute if not sooner and we don’t get to see the pony versions fight either. Honestly, the TV show probably has more fights on average. So, the film took the opposite approach from what you would have expected and used the human world as a way to nerf the ponies and to treat them more like humans. We do get teased with what the fight scenes could be like though as they all get transformation scenes and prepare to fight Sunset. Perhaps in a future film we will get to see them have a real fight if they are able to access their abilities at will. The bulk of the film is Twilight trying to get the Mane 6 to get along. See, Sunset knew that the ponies could be a threat (Even if Rainbow Dash is the only one who can realistically fight her) so she tricked them all into not being friends anymore. It was quite easy to be honest as she just spun a few lies and convinced them all not to try and talk to each other. Well, Twilight won’t let this stand. She would have solved this puzzle even sooner if not for getting dragged into a romance plot. This is the weakest part of the film. So, Twilight meets some random guy and suddenly she is acting like a random live action heroine. Twilight Sparkle doesn’t do romance. The TV show is all about how Friendship is Magic and that’s all you need. Romance is relegated to the side characters like Big Mac who don’t really have an on screen presence in the first place. The romance naturally doesn’t go anywhere so it really wasn’t needed. It also results in the guy saving Twilight 1-2 times when she should have saved herself. The animation looks pretty good. It’s basically the TV show, but using human designs for everyone which is fun. As a big supporter of franchises getting as many spinoffs as possible I’m all for it. 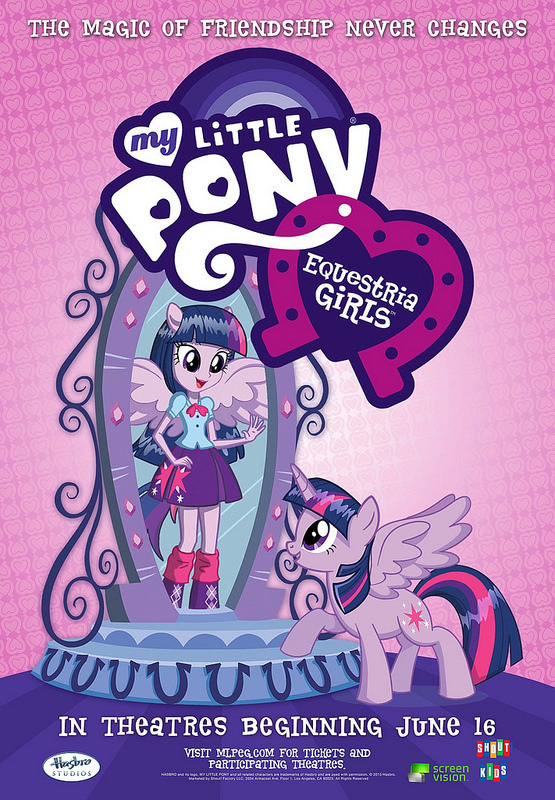 The Equestria Girl spinoff series has also lasted quite a while which is definitely cool. We also get a lot of songs which is nice since the show hasn’t featured too many of those lately. The songs are pretty emotional and have a lot of heart backing them up. There aren’t enough to be called a musical, but there are certainly enough for them to be noticed. Now lets talk about the new character Sunset Shimmer. She makes for a pretty good villain and that’s something that the series has needed. A bully type character who can fight back. The character type of an original student turning evil and escaping is a classic one that works really well. Sensui from Yu Yu Hakusho was excellent since he was a look at what Yusuke could have been if he had gone down a darker path. Sunset is essentially a dark Twilight who may be even stronger than the princess. Unfortunately we don’t get to see her in action much, but she’s definitely a fun character. That’s why it’s a shame how her character arc ended here. I think keeping her around as a long running villain would have been nice. I’m sure she’ll be a good hero as well of course, but she won’t get to show off her tougher side quite as much. I’ll be interested to see if she punches someone out in the sequel though, that’d be cool. I’ve already spoken a bit about how Twilight Sparkle is out of character here so I won’t go into too much further detail. I will say that she was just lacking in confidence too much here. This isn’t season 1 Twilight, she’s come a long way since then. Between that and the romance she just wasn’t the main character that I’ve come to root for. I want to see more of her rage mode like against Tirek. From the other members of the Mane 6 they are played pretty straight from the show. The only ones with a big role though are Rainbow Dash and Fluttershy. Fluttershy is still getting picked on and letting everyone walk all over her so she doesn’t look very good, but Rainbow Dash steals the show as always. Pretty much all of her lines are talking about how awesome she is which is excellent. I get the feeling that Sunset never tries to bully her since that wouldn’t end well. Honestly, in the end it seems like she only rules the school because the tough characters just don’t care and the rest get bullied into submission. Rainbow Dash probably would have lost in a fight since she had no powers at the time, but it would have been neat to see. The school administration is blind to the truth so the students are on their own. I don’t think Spike needed to be brought along with Twilight and honestly she would have looked better without him since he’s just around to make her look bad. He does work well as a hostage in the climax though. Again, the climax was pretty exciting even if it did end up being rather anticlimactic at the end. I still appreciate the film giving its all in trying to get the atmosphere down just right. Now, this review may have seemed a little on the negative side as I read through it, but this was a pretty solid film. At the end of the day movies really need to fill two questions with the right answers in order to win the day. First, “Was the film enjoyable?” This film was definitely fun. The pacing was pretty solid and you’ll be left feeling pretty good about the experience by the time it’s all over. It’s not as if this is an end of the world event. Treat the movie as a slice of life adventure with a little drama and you’re all set. Second, “Did the film make any costly mistakes?” I’m not talking about minor stuff like the Twilight romance. This is more for big things like: Did Twilight get nerfed into the ground? Was their animal violence? Bad script? Stuff like that. Equestria Girls was safe from the start for most meaningful negatives due to its rating so it was almost always guaranteed to be fairly decent. The more realistic negatives it would have to watch out for would be things like crude humor and generally bad characters. The series has always had good writing though so I had a feeling that it wouldn’t go that route. It’s a classy franchise. So, the film may have had some areas where it could have improved, but on the whole it did a good job of being quite solid. Overall, I’m ready to see what the next film has got up its sleeve. The film did a good job of expanding on the main characters in their new world. Now that Twilight is gone we’ll see how her other self handles all of this. Will she get the memories of this latest adventure or will everyone have to clue her in? Time travel and dimension hopping are always tricky, but I’m sure that the writers have a good idea of where to go from here. I’m still waiting for a big budget crossover movie between the ponies and the humans, but we’ll see if that ever happens. It may not be necessary, but I’d like to see the two teams duke it out before eventually teaming up to take on an iconic villain from the past. We also need to see Sunset and Starlight fight since the two are both prodigies who are likely each stronger than Twilight Sparkle by a wide margin. There are a lot of good potential MLP fights come to think of it. Ah well, they’ll come in time. It’s time to watch one of the gutter films. These are unique in the sense that it takes effort to churn out a film this terrible. Of course, you can probably guess how bad it will be as soon as you read the plot synopsis so at least the film wasn’t being deceptive about its story. With nothing going for it, Lisa was in a tough situation from the start. The film starts off with some of the most stretched out credits I’ve seen in a long time. Usually if the credits go on this long it means that the film is stalling for time and trying to get out of playing the actual feature. It’s like a bunch of warning bells since most quality films skim through the credits or at least give you some fun backgrounds and music to distract from how monotonous it is. We also get our first look at the villain murdering someone. Then we cut to the main character. Lisa is tired of being a kid and wants to get into some real trouble for a change. She has decided to be a stalker who collects as many names and addresses as possible. Unfortunately she isn’t a very smart stalker and doesn’t see how this could possibly backfire. It definitely paints her in a really bad light. Especially since she lives in a bit of a seedy area and should at least be aware of the news. She ends up stalking the main villain which ideally leads to them matching wits as he tries to figure out who she is from the prank calls while she keeps phoning without any real goals. I say ideally because nothing of the sort happens. The villain isn’t smart enough to figure it out and Lisa isn’t smart enough to keep her identity to herself. She tells him her name and where to find her. Of course she uses her mother as the scape goat instead of herself. That leads to the climax where they have to fight off this guy and the whole time you’re just hoping that Lisa gets grounded for this. The film does its best to make Lisa unlikable from the start. She comes off as an ingrate and is always trying to wreck everyone’s day. Her friend’s family was trying to have a nice vacation until she had to come and ruin it. Then she keeps trying to remind the mother of her past and uses it as ammo against her. Definitely a very petty person and without any common sense to guide her Lisa basically plays the role of antagonist as well. I can’t stress enough how bad it makes her look to try and set her mother up with some random guy. If this were a rom-com it would turn out all right as the guy would turn out to be perfect, but life certainly isn’t quite that clean and tidy. There’s not a whole lot to say about this film since the cast is super small and the plot is so basic. There are no likable characters here so you can’t root for anyone. The Mother is the only reasonable character here and even then she isn’t given a lot to do since Lisa drags her down the whole time. She at least tries to fight at the end while Lisa mainly panics. If the film could have less crying and more planning in the climax that could have at least helped the film end on more of a high note. As it stands, this film just ticks all the boxes of a usual thriller without trying to do something about it. It’s dark and realistic but with no heart or any reason to watch. If you want a similar story you can simply turn on the news which is usually what you would try to avoid. Overall, Lisa is just another installment in a long line of terrible films that try to sully the cinematic experience. I’d recommend staying far away from this film and watching something with more quality like Jingle All The Way. You’ll immediately notice the big jump in quality when it comes to the writing and really every other section as well. There’s just nothing that Lisa does right. It’s time to look at another one of the worst anime out there. This one definitely holds its own against titles like FLCL. I’ve never been a big fan of anthologies and I’m even less of a fan of this kind of art style. Mix the two together and you’ve got yourself a show that was doomed right from the start. There just isn’t anything really good about this show so what ends up happening is that you just wait for it to end. Each episode is only around 10 minutes before it repeats so it isn’t even all that long but it feels long. There’s no plot so we don’t have to worry about that I guess. 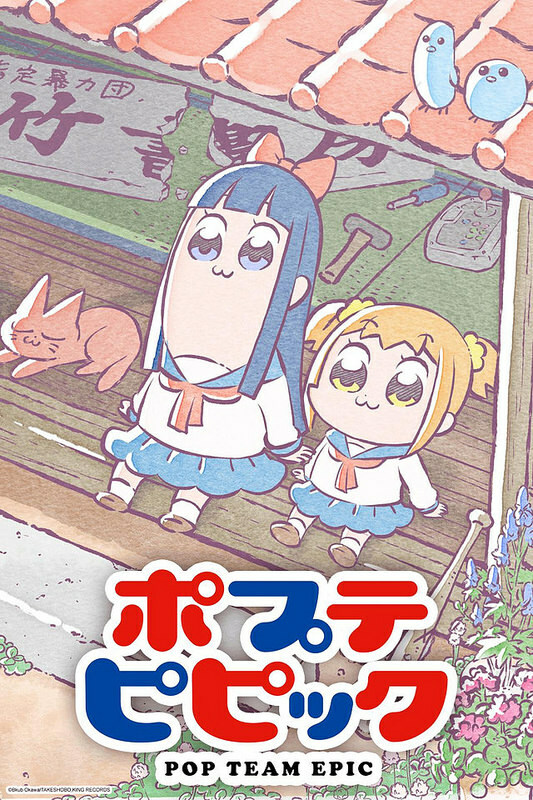 There are two characters here Pipimi and Popuko. They just like walking around and doing crazy things. Most of the shorts don’t have anything to do with the others. Since there is no continuity to keep or logic to follow the series can get as absolutely crazy as it wants. There’s just no end to it. In particular there are 3 kinds of shorts that pop up frequently. First is Bob’s Epic Team. The whole point of these specials is that each of the characters look incredibly deformed and they go around doing more crazy stuff. The voices are annoying and much like the rest of the show it just isn’t funny. It usually gets 2 segments in each episode so brace yourself for those. The second kind of short is Pop Team Cooking. In these the characters usually start to cook or just talk until the segment ends. Nothing ever really happens but at least I can say that the title is kind of catchy. Then we also have the french segments which are great if you like recycled animation and nothing ever happening. These definitely don’t help the show’s case either. Then we’ve got the random segments that have nothing to do with anything as well. Those are about as bad as you may expect. The only ones that are even kind of good are the long ones at the beginning of every episode. Each episode gets 1 long segment and this allows the segment to get an actual plot. We had an action one, a Detective Conan one, a supernatural murder one, etc. At least these plots were trying to be okay. Of course the show can’t help but go off the deep end here as well as one segment decides to have a romance plot within the family which gets to be about as bad as you would expect. Hey, at least nobody can ever accuse the show of being classy right? Surprisingly the show doesn’t have a lot of fanservice since I wouldn’t have been surprised from this kind of title. With the animation being this bad though I guess it didn’t want to even try. The soundtrack is basically nonexistent, but I suppose the opening isn’t bad. The images are pretty boring but the tune can be catchy. This kind of show just doesn’t have much in the way of music during the episodes. I already talked about how terrible the animation is so we don’t have to go over that. It’s just painfully bad. I did like the episode previews at the end because they hint at what kind of show this could have been. The hypothetical story in those bits already look a whole lot more interesting than this one. It seems like a real show with actual animation. You just can’t go wrong there am I right? The show looks rather generic intentionally of course, but I would still take it over this one in a heart beat. The only 2 real characters here are Popuko and Pipimi but of course their personalities do tend to change based on the short. No matter how the show up the two characters are always pretty annoying though. I definitely wouldn’t consider myself a fan of them. Without a good cast or a reasonable plot a show is never going to go anywhere and that’s exactly what happened to this title. At the end of the day Pop Team Epic is a comedy show. It tries for very outlandish and abstract humor which doesn’t land. Since that is the whole point of the show it was rather doomed right from the start. It’s very focus just wasn’t good enough to keep your attention and there just isn’t anything for it to fall back on from that point. I almost feel bad for the show, but it really has no one to blame but itself. From the very first episode you could tell that it was not going to be good. Making half of the show recycled animation is also incredibly lazy. I can’t imagine how this ever got to be on TV with such lazy production values behind it. In the end you could say that it just didn’t deserve to succeed. Overall, This is a short review, but Pop Team Epic is basically only 6 episodes so it’s a rather short show. There is no cast or plot either so there just isn’t much to talk about. It’s essentially a long joke that keeps losing its focus and forgetting the punch lines. I’m sure it had a lot of plans initially but in the end the show just couldn’t bring them to fruition. All it did for me was reaffirm the fact that anthology series don’t have a whole lot of potential. Especially when the shorts are only around 2 minutes or less on average. There is really nothing you can do in such a short amount of time. If this sounds interesting to you then by all means check it out. Still, I can’t say that I’m hyped for the next season. Hopefully it is able to do something because the references aren’t enough to help this show overcome its terrible sense of humor and nonexistent plot. Maybe we could just get a full reboot with a different group of staff behind it. Surely an overhaul would ensure that the season is better…right? There are some series where you immediately start to think that something was off. This is one of them and most of it all boils down to the art. Right from the beginning you can tell that it’s an unconventional art style and one that you automatically associate with a grittier title. It lets you know that this series will probably make some big mistakes and you wouldn’t be wrong. More on the art later. The series has quite a few characters and plot lines. The general plot though is that there are a group of characters in a town. They all know each other through other people or directly and as such bonds have started to form. Takemoto is known as an average guy all the way through. He’s not bad at anything, but not good at anything either. One day an art prodigy known as Hagu shows up and Takemoto decides that he will be a better man. Then we are introduced to a ton of love triangles which all intersect to the point where everyone has a rival. Can they all end up as friends despite this or will their bonds be shattered? So lets address the biggest problem right off the bat. Hagu is one of the main characters of interest as Takemoto, Morita, and Shuji all like her. The thing is, the manga always draws her to look like a little girl while everyone else is basically an adult. Takemoto was 19 and the others were older than him I believe. Hagu is around their age as well but never seems like it. I forgot in the series if it was ever stated that there is a reason why she doesn’t grow or if that’s just the art style but then the series goes a step further by making her act like a kid as well. Either way, it makes the romance hard to endure and every time it pops up you’ll end up cringing. Lets face it, it’s hard to do a good roamance at times, but even so it’s possible. This series just absolutely could not pull it off and the art destroyed any chance that it had. Hagu’s design just seems like a mistake and if the author wanted to go with this look, then she should have at least acted more mature. I also can’t say that I liked Hagu as she made the wrong calls. So, this series also deals quite a lot with romance and the rebounds. Hagu actually does like one of the 3 characters, but she goes with a different one because he gives her the best chance at recovering her career. It’s portrayed as a good option, but that just seems fake then. She’s basically using the guy. We have several characters in the series who are totally fine with that, but it’s still not a quality romance. Even though drawing is her life, Hagu also has many different moments where she is unsure if that’s what she wants to do so I wonder if she has what it takes for the long haul. Then another bad character is Mayama and his entire subplot. So, he has always liked Rika and has been stalking her for years. He looks through her browser history when she is gone and does a lot of crazy things inside her apartment when she’s not around. It’s all played off for humor, but the series does portray him as a rather warped individual who should be considered as more of an antagonist. Rika does lead him on and gives him one night stands to keep him entertained, but that’s no good either. Rika has a tragic past and just can’t cope with it at times. While she is still to blame, Mayama is just as guilty for ignoring this to his convenience. This was another romance that I could certainly not get behind and the guy was just a terrible character. Then we have Takemoto who is also annoying. At one point he bails on everyone to drive around the country and re discover himself. Kind of a selfish thing to do if you think about it since he didn’t tell anyone where he was going and is gone for a very long time. When he comes back the first thing he does is confess to someone when he knows that she doesn’t like him. Fortunately she rejects him instead of playing along for a while like some other characters, but it didn’t help Takemoto’s case. Even by the end once she has made her decision he has a tough time letting her go. The same thing is true for Yamada. She likes Mayama, but he has chosen Rika over her. So, Yamada decides to rebound with Nomiya, but even at the end of the series she can’t get over Mayama. Nomiya is fine with that, but that still means that he will just be the rebound. It’s not a very fun role and even if he doesn’t mind it, once again I can’t call this a quality romance. By the end of the series it felt like every character had to settle for the backup or being forever alone. Takemoto wanted Hagu and ended up with no one. Morita wanted Hagu and got no one. Hagu wanted Takemoto but got Shuji. Yamada wanted Mayama but got Nomiya. I guess Mayama and Shuji got their picks though. Morita is another bad character. At least he is rather quirky and eccentric as he runs around doing his best to annoy everyone while getting rich. He actually is a genius and knows how to succeed which is good, but then he goes around causing trouble for everyone. Rather then talk to Hagu openly he runs around calling her a creature and doesn’t get serious until the final volume. It’s way too late by then if you think about it. As mentioned earlier Yamada is basically using Nomiya which doesn’t help her case. It’s fine if she can’t get over Mayama, but then just staying by yourself until the feeling has passed is the right choice. Nomiya’s no good as he approaches Yamada once she is in a vurlnable state which basically just seems like it will help his odds. That’s not the heroic sacrifice play that I would have liked to have seen. At leas stay in the friend zone or something. Rika’s no good since she can’t make up her mind. She clearly likes Shuji more than Mayama, but ultimately needs Mayama for work so she makes compromises. She should have kicked him out once she found out about the shady stuff he was doing. Shuji’s also no good because his romance comes out of nowhere and he seems way too old to be honest. The guy’s been a teacher for a while so no matter how you slice it there is an age gap here. Going back to the romance themes, one of the issues that the characters keep struggling with is the fact that they can’t get over their initial pick. At the end Takemoto gives a monologue wondering if it was all pointless or if it was a good thing. At the end he decides it was a good thing and finally moves on. He’s the only one who made the sensible choice in the end. See, if you fall for someone who’s taken or who simply doesn’t feel the same way, you don’t just keep pestering the person until they finally give a half hearted okay and get together with you as a last resort. You also don’t just use someone as a rebound while mentally picturing that you’re with the other person. No, the best thing to do is get over it as soon as possible and if that’s not working then create some distance. Eventually you’ll be over it and until then just bluff for a while and put on a tough face. Not letting the other person find out is the right thing to do because that will just put that person in an awkward position. The thing is, most of the cast is too selfish to go along with any of that and they all end up doing their own thing. 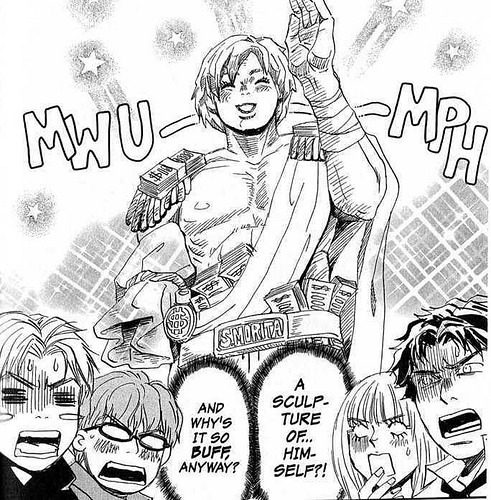 As mentioned, one of the reasons why this manga scored so low is due to the art. It just looks utterly terrible and is one of the worst art that I have ever seen for a manga. It’s not dead last, but it’s probably bottom 5. The art looks unfinished and everyone appears to be constantly blushing. That’s something you’d expect more from an anime which also doesn’t work. I’ve already mentioned the Hagu thing to death, but changing that would have certainly helped the score as well. The humor doesn’t work either since the characters are so unlikable. Even though the series is 10 volumes it definitely does drag for quite a bit. The commentary on romance in general was ambitious so I’ll give the series some props there, but it was just incorrect the whole time. 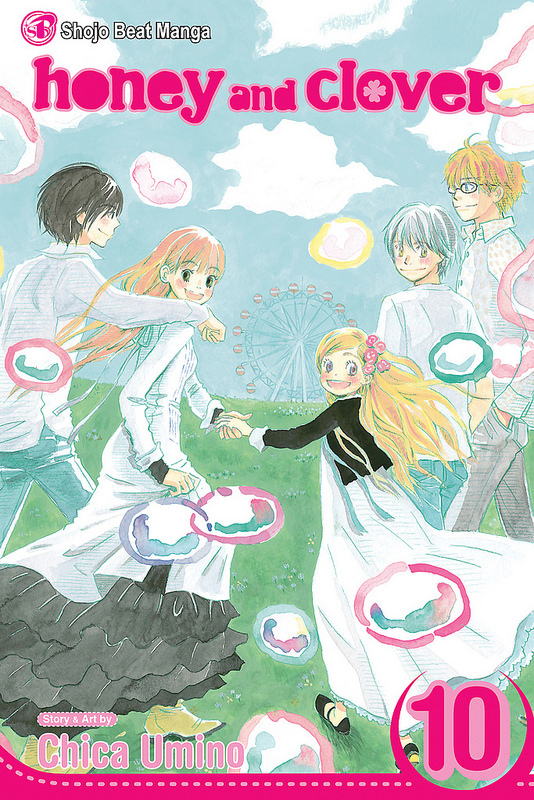 Overall, Honey and Clover is a series that I highly advise staying away from. It’s just not a good series but you could probably guess that based off of the synopsis. If you like a lot of drama and romance then you may enjoy it, but if you don’t then you’ll know to stay away. I’m not a big fan of those two genres mixing myself so it’s not really a surprise that I didn’t like it. Still, I can certainly say that the series was a little worse than expected. It certainly would have been better as a romance comedy than a drama in this case as it takes itself way too seriously with all of the wrong choices. There is a lot of dialogue, but often times it is about nothing in particular. It’s just characters hanging out, but they aren’t saying anything exciting.